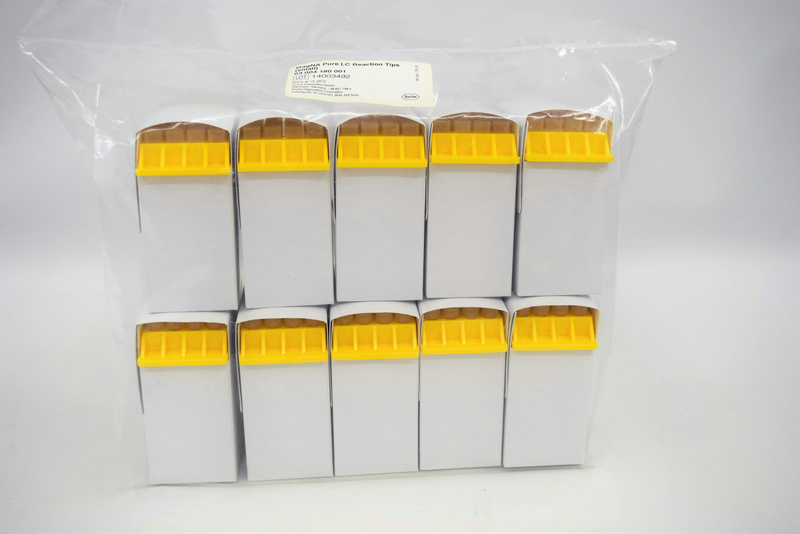 Roche MagNA Pure LC Reaction Tips (Small) 10 Packs 32 Tips Each Pack–Sealed Bag . New Life Scientific, Inc. The MagNA Pure LC Reaction Tip (Small) are used in the MagNA Pure LC Instrument for eluting nucleic acids from the magnetic beads and for pipetting the reaction mixes for PCR setup. The Reaction Tips integrated filters prevent contamination of the nozzles of the pipetting head. The tips are new in the sealed bag. 10 Packs of tips, 32 tips each pack.